UPDATED: Sat., June 9, 2018, 6:20 p.m.
WASHINGTON – Stanley Cup champions just want to have fun. “I just Cup holder right now,” Ovechkin said. 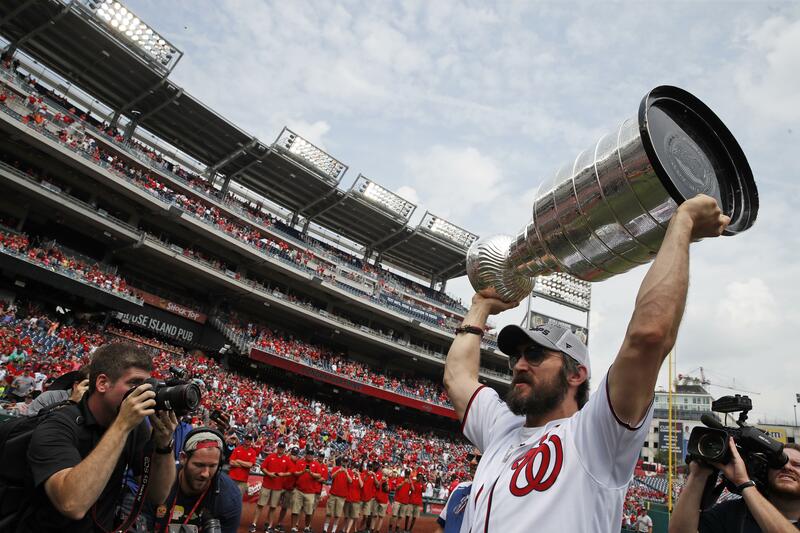 Chugging beers during a TV interview, Capitals players broke out into an impromptu rendition of Queen’s “We Are The Champions” and swayed together when it was played during the seventh-inning stretch. The first Cup is bringing out the deepest emotions for the superstar captain and his teammates and coaches. The start of the next quest for the Cup begins in less than three months, and the coming days and weeks will bring clarity on the futures of Carlson, coach Barry Trotz and Washington’s other free agents. On Saturday, the 55-year-old Trotz brushed aside any conversation about a new contract. Scherzer tweeted the day after the Capitals’ Cup clincher, “Thank God I don’t have pitch today because last night was nuts.” Scherzer stayed up late Thursday watching the festivities from Washington. Players aren’t doing much in the way of recalling moments during their run, but Backstrom said immediately after winning, it hit him how important Lars Eller’s double-overtime goal was in Game 3 of the first round to keep the Capitals from going down 3-0. Published: June 9, 2018, 4:55 p.m. Updated: June 9, 2018, 6:20 p.m.